Chair 1 of 3 shown below. Bending plywood, plastic, foam, fabric, and office chair components. 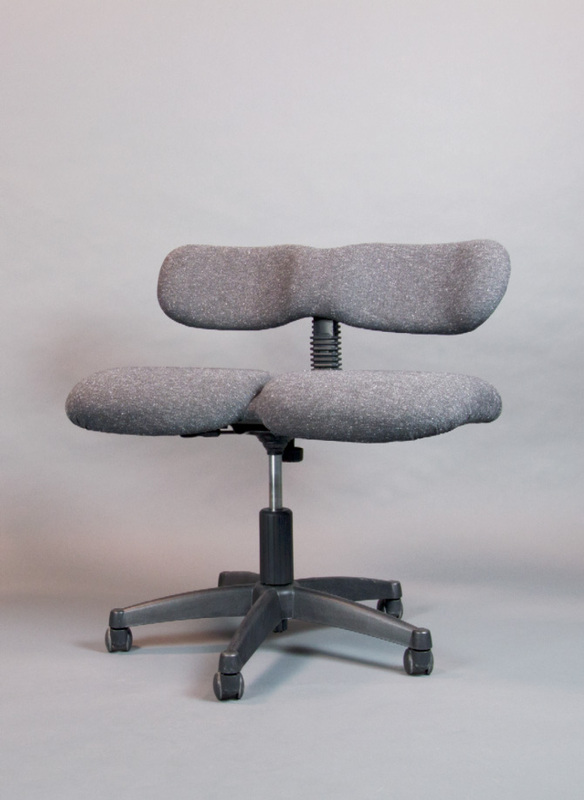 A series of hybrid office chair love-seats reconstructed to accommodate two instead of one. This project was made in collaboration with Claire Gustavson.